Amazon and OnePlus are celebrating the 4-years association anniversary and to celebrate that the company has launched the ‘Lucky Star’ contest as the part of the celebration. The ‘Lucky Star’ user will be eligible to win 600 gifts on purchase of the OnePlus 6T smartphone on Amazon.in starting Friday until December 2. “OnePlus and Amazon.in celebrate a successful 4-year strong partnership as both companies share similar customer-centric values of quality and experience,” a company statement said. Additionally, all customers will get Rs 1500 cashback on using Citibank Credit& Debit cards to purchase the OnePlus 6T. Customers can also avail 6 months of no-cost EMI. Existing OnePlus users will be eligible for an additional Rs 3000 off on exchange of their OnePlus device for the OnePlus 6T. The ‘Lucky Star’ will be eligible to win an exciting range of gifts from the vast selection of products across categories like appliances, fashion, home décor, and others on Amazon.in. Customers can buy OnePlus 6T on Amazon.in clubbed with a wide range of finance schemes and fast & reliable delivery, the company said. 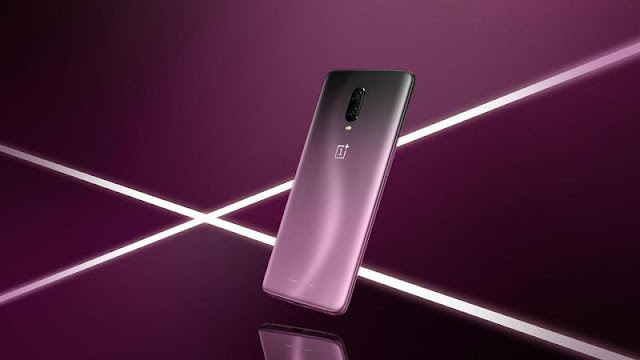 OnePlus 6T features a 6.41-inch display with the 19.5:9 aspect ratio and this screen is larger than the 6.28-inch display sported by the OnePlus 6. The display type remains the Optic AMOLED type and has the 2,340 x 1080 resolution. The notch cut out on the screen has been significantly redesigned, is now much smaller and resembles the teardrop. There is now an in-display fingerprint sensor as well, which makes the 6T the first OnePlus phone to offer this feature.